3,500 animal shelters across the country provide care for lost or unwanted dogs and cats year round. The holidays are a perfect time to recognize your local animal shelter for their hard work. 1-Donate Your Time – Whether you can volunteer to walk dogs, staff a table at a special event or clean out cages, there are lots of opportunities to help. Most shelters have a volunteer coordinator who matches your interests with their needs. Just give them a call and they’ll put you with the right person. 2—Donate Goods—Pet food, toys, crates, old linens, even paper towels and other cleaning supplies are needed. Those toys that Fluffy never looks at? Those towels with a frayed edge? Pack ‘em up and deliver them to your local animal shelter. Toys can find a new life with different animals and the towels or old blankets can give them something soft to lie on. 3-The Gift of Money –According to The Humane Society, a gift of $100 will vaccinate, feed and house a shelter pet for a week. Any donation amount can help cover costs of medicine, procedures, and other needs. Check your animal shelter’s website for donation instructions. They may be collecting for a specific animal or simply have a general fund. If you want to give the gift that keeps on giving, you can sign up to give a monthly donation. 4—Foster pets—If you have the time and space to foster a dog for even a few weeks, you can free up valuable space at the animal shelter so they can house another pet. Of course, fostering a dog is a big commitment so make sure you’re up for the task. 5—Spread the word – Post furry adoptees on your Facebook page. 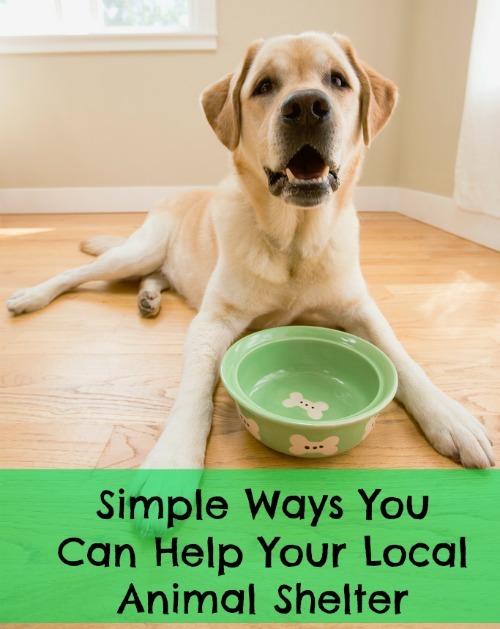 Partner with a school or community organization to host a pet food drive. There are many ways you can help spread the word and find loving homes for some pets. Hike! The driver yells and the dogs start racing toward their next goal. They navigate through the snow and ice of the Alaskan wilderness via training and verbal commands from the “musher” on the sled they pull. The Iditarod, an annual race for dog sled teams and the people who drive them, covers 1000 miles across the Alaskan wilderness. It spans two weeks and draws competitors from all over the world. Started in 1973 to commemorate the history of dog sledding, it’s grown into the world’s most competitive race. 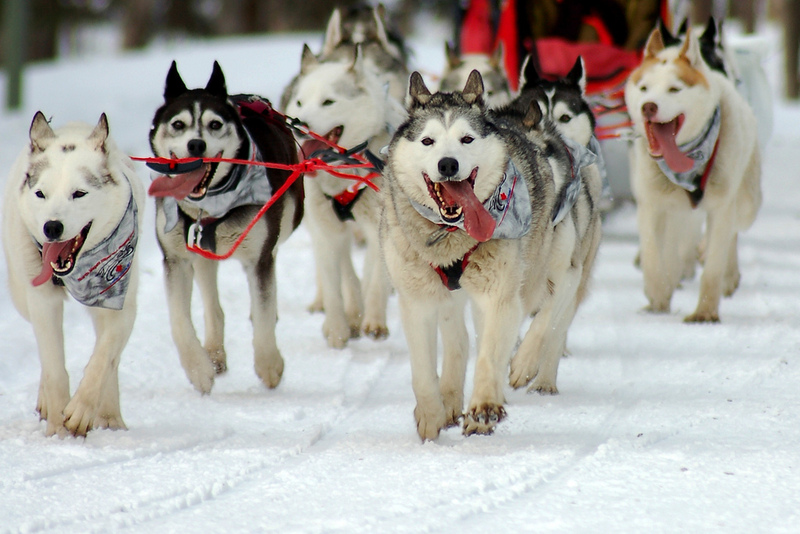 “Mushing”, the practice of using hardy, cold-weather dogs to pull sleds, dates to at least 2000 BC. 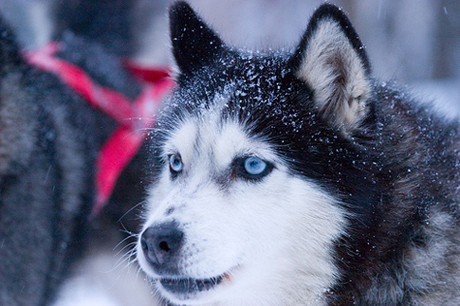 People have used mushing for centuries to move everything from mail to refrigerators through snowy terrain. They were even used as ambulances in cold climates like Norway during World War I. One famous run occurred in 1925, when 20 mushers and 150 sled dogs relayed a serum across Alaska in five and a half days in order to save the residents of Nome and surrounding areas from an epidemic. Today, most deliveries are made by plane and mushing is primarily a sport. It’s growing in popularity with dog lovers the world over. You don’t even need to live in a snowy environment. “Carting” is growing in popularity as a fun sport to do with your dog. Like it sounds, “carting” uses a cart (usually with wheels) and the dogs. Almost anyone can participate in this activity. Sled or cart pulling isn’t relegated to only Alaskan breeds either. Traditionally, Malamutes and huskies have been sled dogs, but all types of breeds, including Dalmatians and Golden Retrievers have been hooked up to a sled and taught the techniques. If you have an active dog, chances are, they’d enjoy the activity. Dog lovers can participate in many types of races. In some, you only need one dog. For others, multiple dogs work better. Would your dog enjoy pulling a sled or a cart?